Thanks to competitive pressure from T-Mobile (pre-merger T-Mobile, that is), all four major carriers in the US now have unlimited plans. Sure, they’re expensive and come with a bunch of caveats — like the fact that they’re not truly unlimited! — but customers love them very dearly. Still, Verizon’s flagship unlimited plan is $85 for the first line, which is a large amount of money to spend on your phone bill no matter which way you cut it. That might be why the company is very stealthily funding a start-up that offers a more restricted unlimited plan for $40, calls and texts included. The company is called Visible, which is ironic given that it’s been completely off-the-radar since launching earlier this year. It is squarely aimed at younger users, as the whole thing is about simplicity. You have to download an iOS app to sign up, and you need an invite code to be able to join. You can get a code either from a member, or just put yourself on the waitlist. Once you get a code and sign up, Visible will send you a SIM, and you’re good to go. You can even pay with PayPal or Venmo, reinforcing the notion that this is definitely a service for younger people. It doesn’t have the same credit applications or complicated sign-on procedure as a postpaid account, and seems designed to compete with the likes of Google’s Project Fi or the increasingly popular prepaid carriers like Boost or MetroPCS. There is one big problem with Visible, however: Although it uses Verizon’s excellent 4G LTE network, users are perma-throttled to 5Mbps. That’s not dramatically slow, and still fast enough to stream or use apps, but it’s a far cry from the 100Mbps+ speeds that users can expect in areas with new technology and good service. 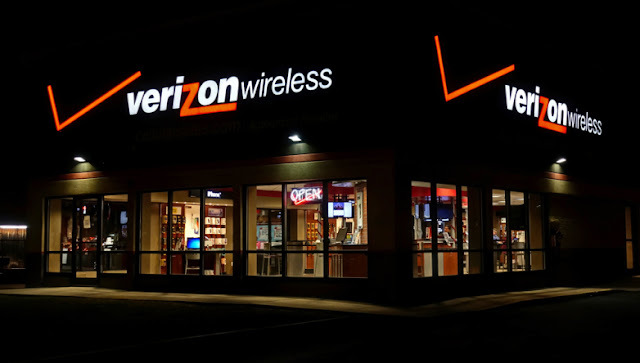 You’re also liable to get de-prioritized when the network is busy, likely in favor of Verizon postpaid customers, who generally get priority over MVNOs. Still, even with the caveats, $40 a month for unlimited data, calling, and texts on Verizon’s network is a steal. The most surprising thing is that Verizon itself is funding the company, since it has the potential to cannibalize some of Verizon’s existing customers. At a guess, that might be why it started stealthily without any major marketing push: Verizon wants to analyze whether Visible customers are defecting from Verizon postpaid, or whether it’s picking up customers from other prepaid operators or its competitors.